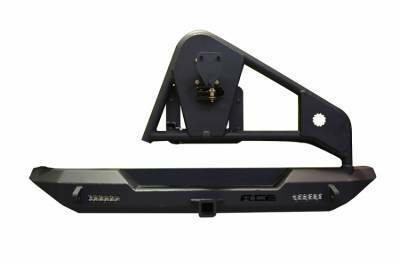 This slim-designed Pro Series bumper is made of ¼ thick steel plate and is contoured tightly to allow for extreme departure angles. Plus it mounts inside the factory frame for maximum clearance, in fact it actually gains some clearance from the stock receiver. 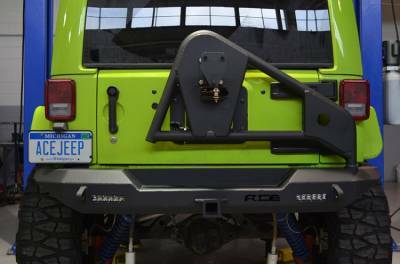 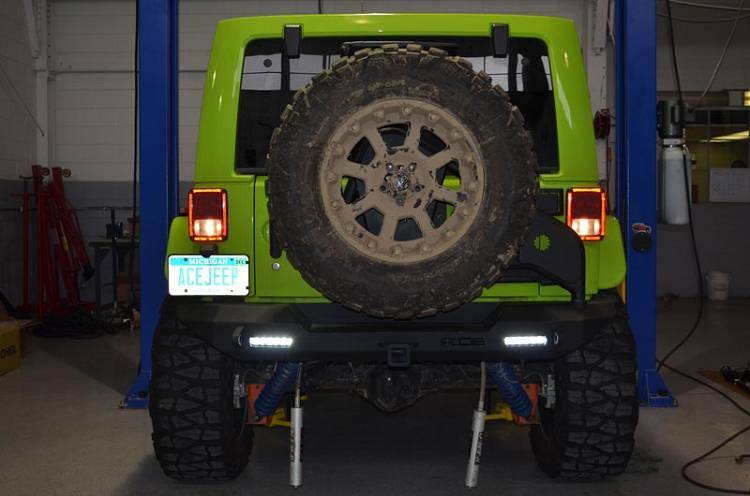 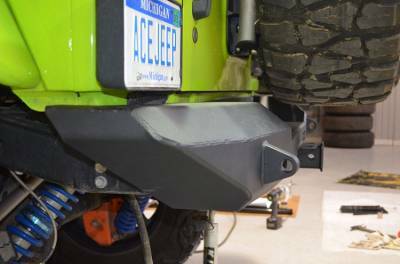 The Tire Carrier consists of a spindle housing that's welded and supported from the top and bottom plate of the bumper. There's a zerk fitting provision in the housing that utilizes our cnc machined, oil impregnated bronze bearings.